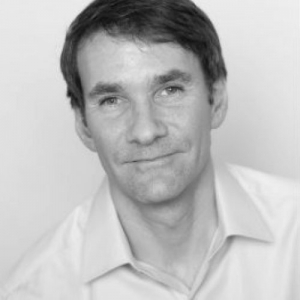 Keith Ferrazzi moves audiences to action and has been enthusiastically recognised as one the world’s most dynamic, engaging speakers. He has received accolades from an impressively diverse list of listeners: Merrill Lynch, Goldman Sachs, Microsoft, the United Nations, Facebook, the World Economic Forum, Kraft, GM, Century 21, AT&T, and Aon, to name a few. Ferrazzi has been a contributor to CNN, CNBC, and Ali Veshi’s Real Money and a guest on Larry King Live and the Today Show. His writing has appeared in Fortune, Forbes, Inc., Business Week, The Wall Street Journal, and Harvard Business Review. Ferrazzi has won a place as one of the top thought leaders in American business. His first book, Never Eat Alone, redefined networking, once a maligned practice, as the lingua franca of our times. His #1 NY Times bestseller Who’s Got Your Back focuses on building relationships with a trusted team of peers who provide the perspective and candid advice that advances our careers and well-being. Ferrazzi has been named a “Global Leader of Tomorrow” by the World Economic Forum and one of the most creative Americans in Who’s Really Who. Ferrazzi’s ultimate aim goes beyond the workplace. He aims to change behaviour in a way that impacts disenfranchised populations in the world via the work of his Greenlight Giving foundation through partnerships with the private, government and non-profit sectors. Greenlight Giving programs include Serve & Grow (bringing sustainable changes to Guatemala), Words 2 Life (helping kids in the foster care system to develop a network of positive mentors and role models through music), and CollegeCONNECT (teaching students techniques and skills to develop meaningful, lasting, and mutually beneficial relationships).